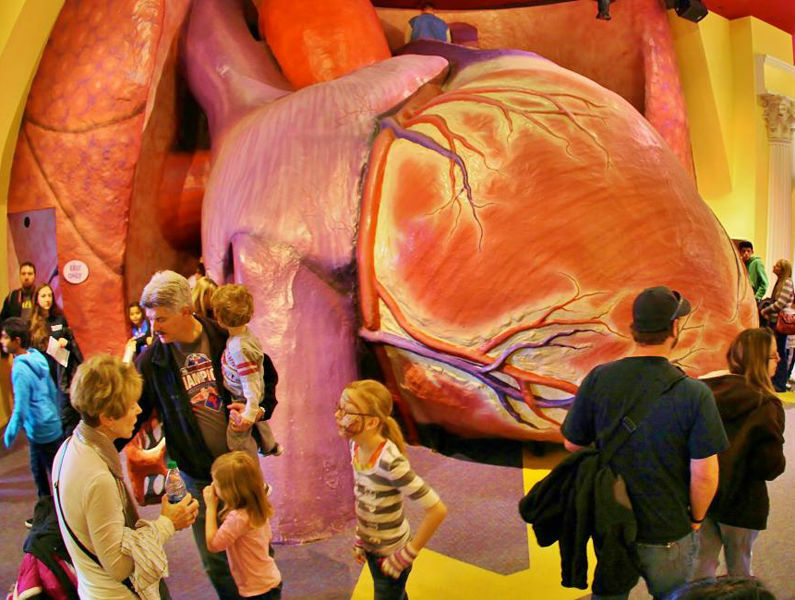 For more than half a century, walking through the Giant Heart has been a rite of passage for children in Philadelphia. No visit to The Franklin Institute would be complete without visiting the icon that generations love with all their hearts! Learn how to keep your heart in tip-top shape as you explore this 5,000 square foot exhibition. You'll gain new insights into the anatomy and physiology of the human body through interactive exhibits that emphasize the importance of exercise, healthy diet, and maintaining a balanced lifestyle. Watch open heart surgery or find out how much blood is in your body. Crawl through a giant artery or see a how a human skeleton works as it runs. This exhibit is a celebration of the heart—inside the human body and inside The Franklin Institute—and we think you’ll love it with all your heart, too! The Giant Heart is located in the F.M. Kirby Gallery of the Biosciences and The Joy and George Rathmann Hall of Science.